When there’s a puppy in the Aniden office, there’s no use trying to fight it. Just go with the impulse to take pictures of it beside stuffed animals and office foliage. There are no excuses, no explanations. It was a puppy. It will always be a puppy. Another Christmas dinner w/Aniden, Another reason to keep your head slightly bowed the next day. It was that time of year again… Aniden fancy Christmas dinner. Most of the guys wore suits and ties; the ladies wore dresses (no one told me to dress up so I’m rocking some jeans in these pictures). I ate a huge steak and got on the waiter’s bad side with my very-specific vodka/soda orders. 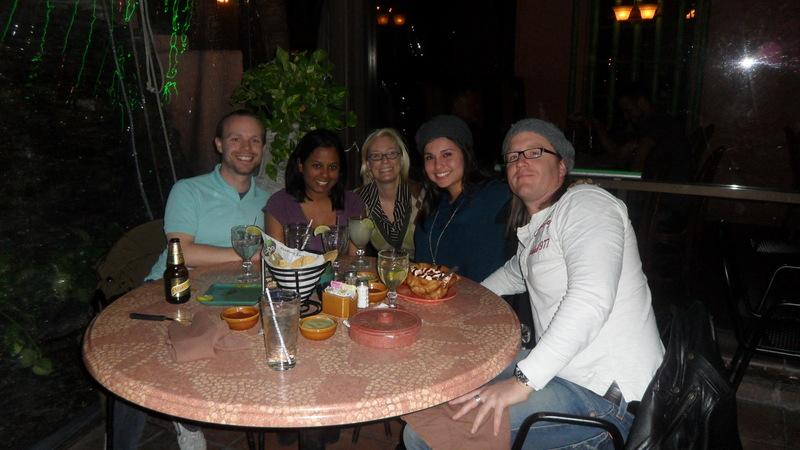 Helen, Rachna, Tim and I did fajitas and margaritas to celebrate Mark’s coming of age a few weeks ago. One of the reasons I moved back to Houston is to be with creative people. 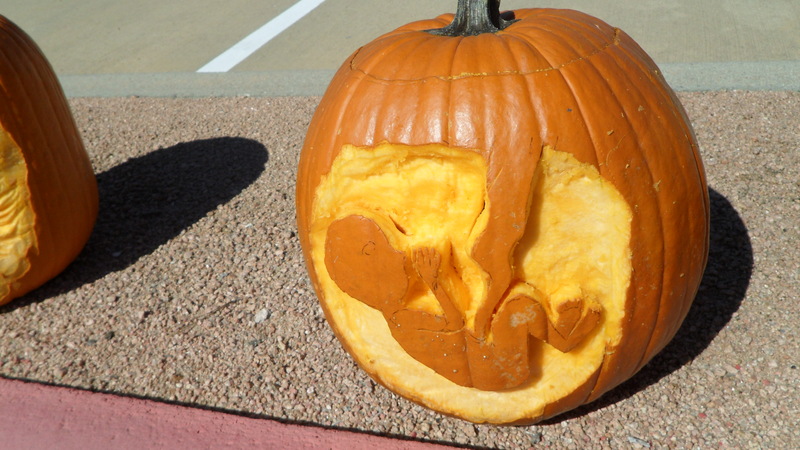 This year’s pumpkin carving at Aniden was the best team building day yet! Pumpkin Carving day at Aniden. T minus 3 days. I don’t know why there’s a flurry of babies happening, but they’re popping out everywhere. I can’t get any work done for all the babies blasting off. 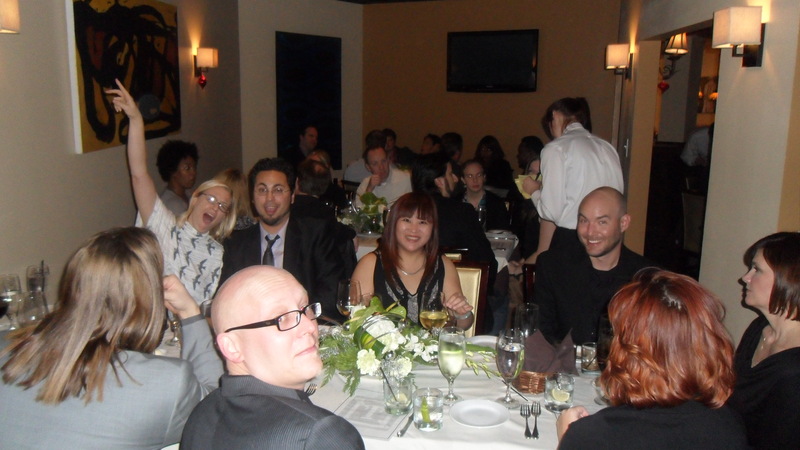 Here’s pictures of Ryan’s baby shower at Aniden Interactive. Team-building means gambling and debachery at Aniden Interactive. Holla! Goodbye, goodbye goodbye Aniden. Me and some peep when Japanese steak-ing for my last day. Yum, but bye. Meetings at Aniden can be long. They can be droll. So Brett drew everyone including me. Note the letters all over my shirt… “Because you’re a writer…” he said. Yep.